We’ve all been in the precarious position where our significant other has been upset, whether it was a big or small offense, it doesn’t matter. 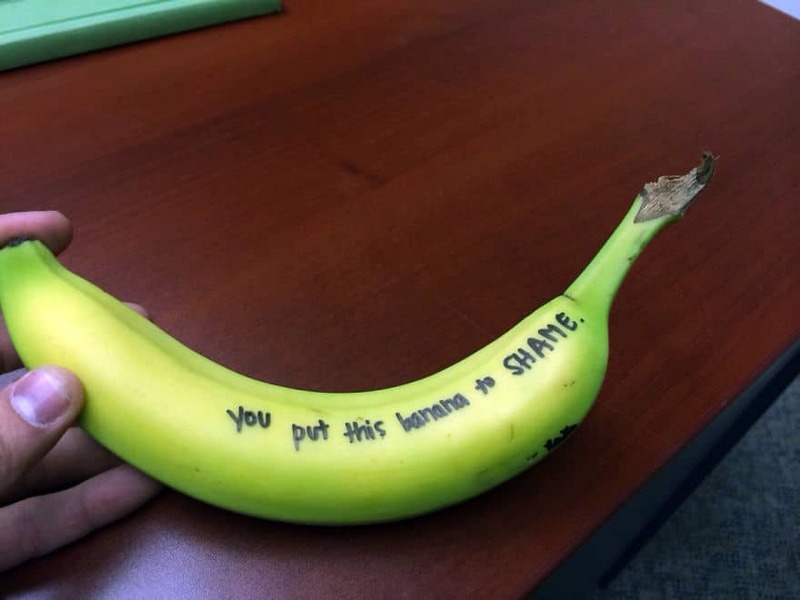 Thankfully, there are others out there who have been in the same position, and they’ve discovered a one-of-a-kind way to get out of trouble. 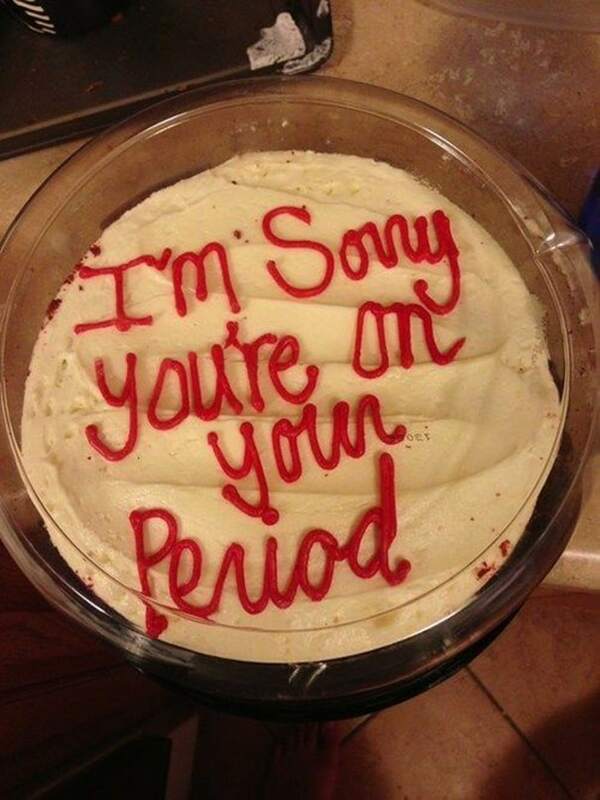 On top of it, there’s also a sure-fire way to show your loved one you really do care. That’s why we’re all looking for, isn’t it? A simple, funny way to show we’re still there emotionally. Well, take your game to the next level! Show off your talent, and take some inspiration from these well thought out notes! 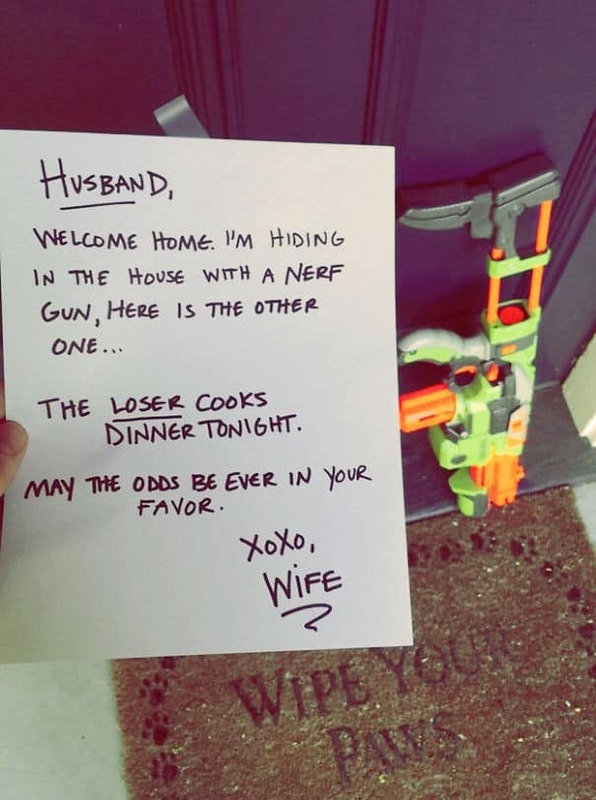 You’re never too old for a game, especially when your wife is the opposition. When the stakes are high, such as cooking dinner or doing the dishes afterwards, you’d best play your heart out, otherwise you won’t live it down for a few days, at least. 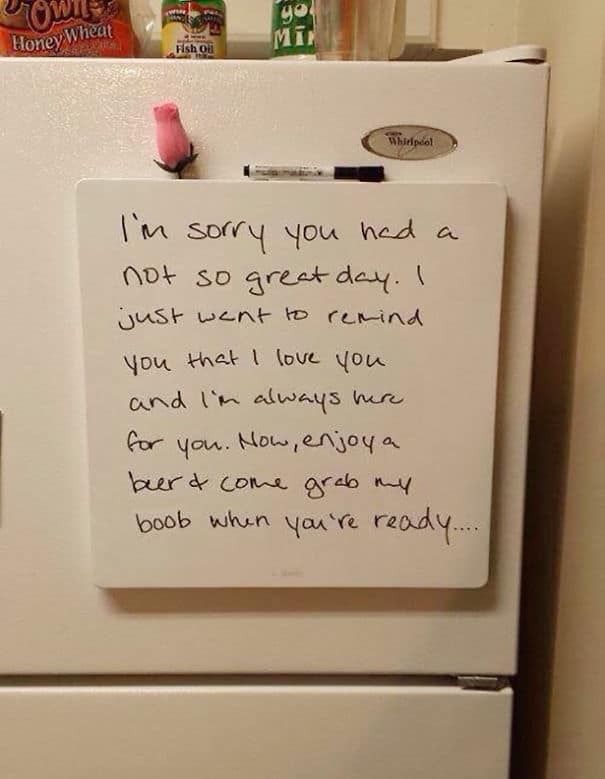 It’s been a long day at work, we all have those, but coming home to your loved one and this note makes it all worth it. Long hours mean nothing when you get to hold a beer in one hand and a lovable breast in the other. It’s thoughtful, and yet incredibly simple! The joys of being male sometimes mean you question how well your equipment works, and whether that banana on the counter is any competition. Thankfully, your significant other knows how you think, and, well, they can offer some reassurance more often than not. 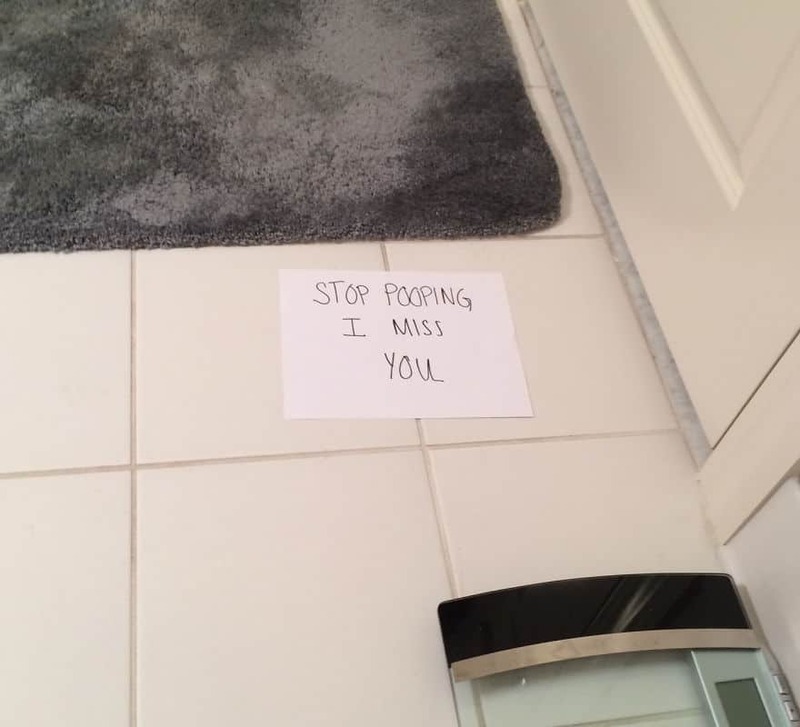 You live with your loving woman, you know what’s going to happen once a month. 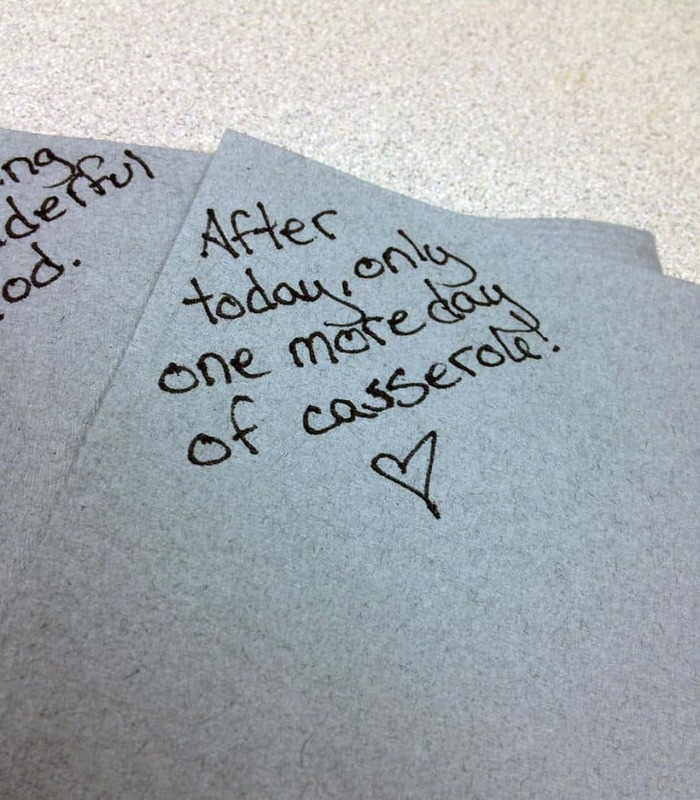 So, what better way to prepare for it than with a thoughtful little note. Pair it with some cake or another sweet treat, and you’re on your way to being the favored guy in the house once more. The dog can’t beat a cake…sometimes. A simple reminder of a wonderful trait on your loved one may come across as crass, but when your sense of humor is known well enough by your opposite, they’ll get your meaning perfectly. Show you care outside of the bedroom, but are still willing to think inside it, too. You’ve been gone for far too long, what shall we do without you, loved one? The answer is simple: Write them a note and slip it under the door while they’re stuck on the toilet. Cheer them up. Worse case scenario? You’ve offered them more paper for the bowl. Best case scenario? They know you really care. Quickest Way to the Heart is the Stomach, Right? Everyone loves bacon, correct? 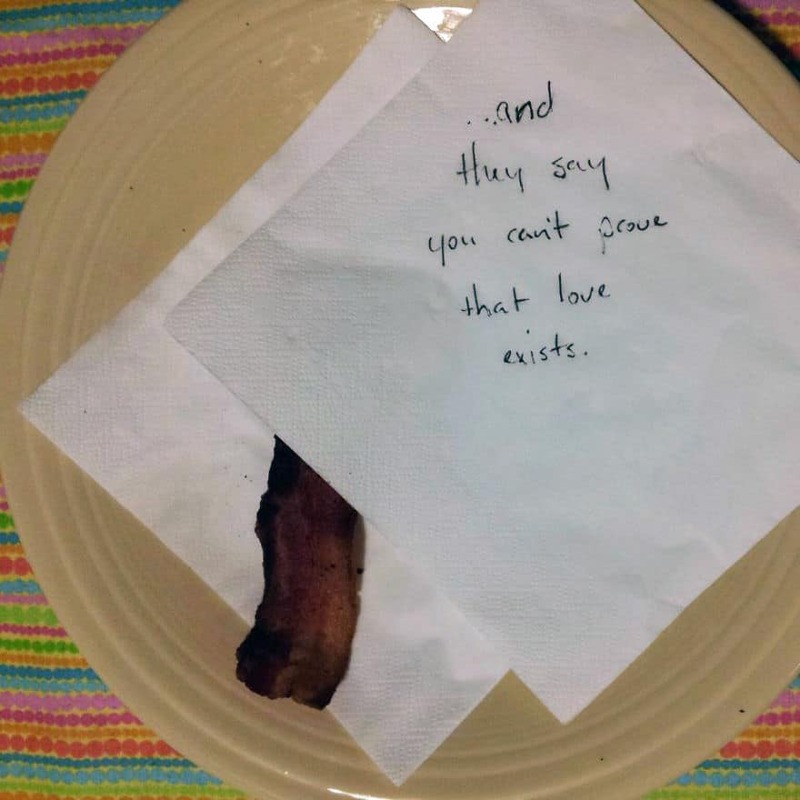 Well, if your loved one does, then you may make their morning by sliding a slice of bacon underneath a little note telling them how much you love them. Not only with they understand your adoration, but your point will be backed up, too. Your cooking is wonderful. No one is going to tell you any different, we promise. But even a good thing can get old after too much. Let them understand how you feel their plan by showing it’s nearly at an end, even if that just means casserole for one more night. 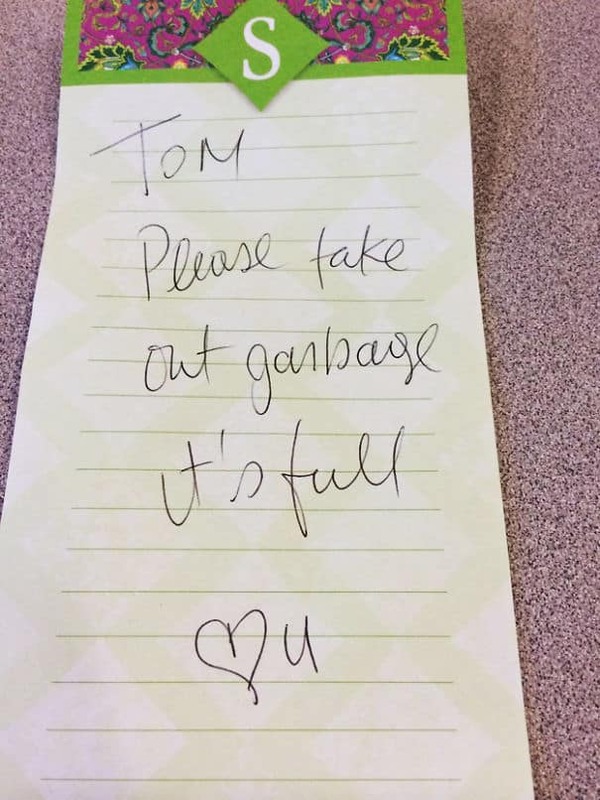 The garbage has to be taken out. That’s a fact we all live with, but no one really wants to touch the smelly garbage. So, send them a little reminder note asking nicely to bring the garbage out. Finish it off with a “Love You” or a simple heart, and you’ve won the game once again.